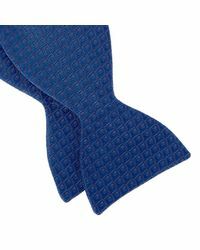 See more Turnbull & Asser Ties. 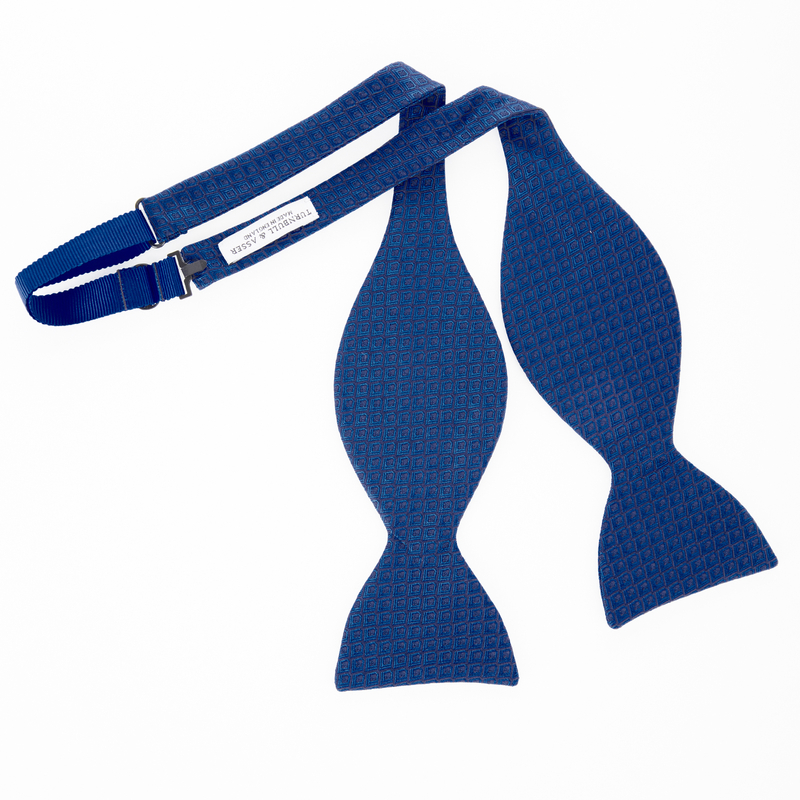 We check over 450 stores daily and we last saw this product for £85 at Turnbull & Asser. 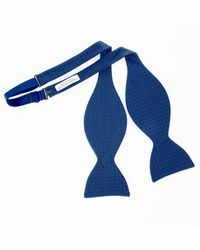 The classic navy bow tie is a sartorial starting point in any gentleman's wardrobe and an essential for formal dressing. Perfect for Jermyn Street Peacocks, this subtly patterned piece is a quietly eccentric take on classic satin designs and will see you through a lifetime of stylish soirées. 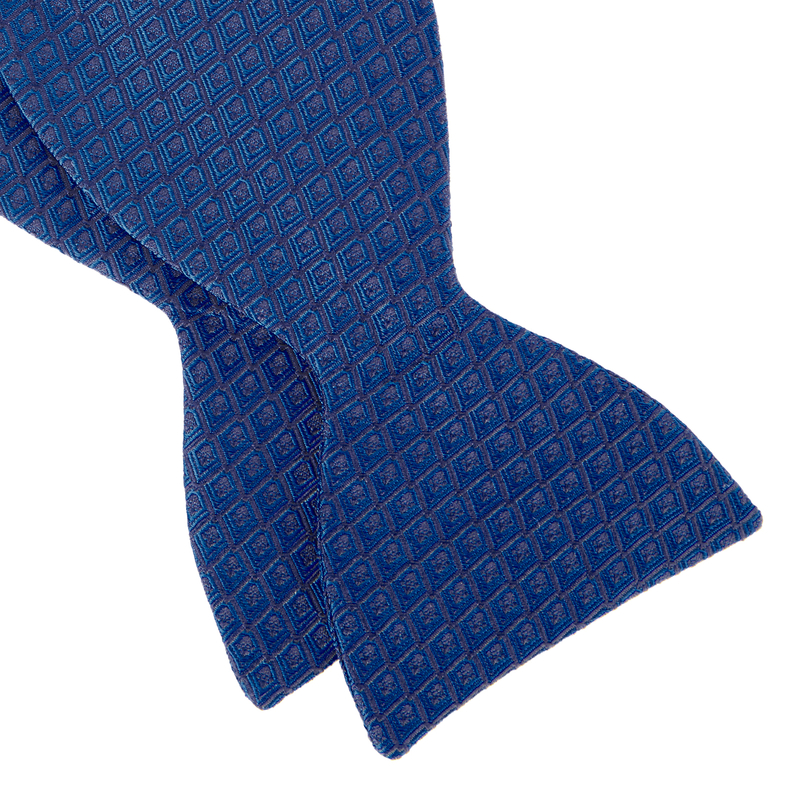 Our silk ties are hand-sewn in Kent by artisans with centuries of combined experience. 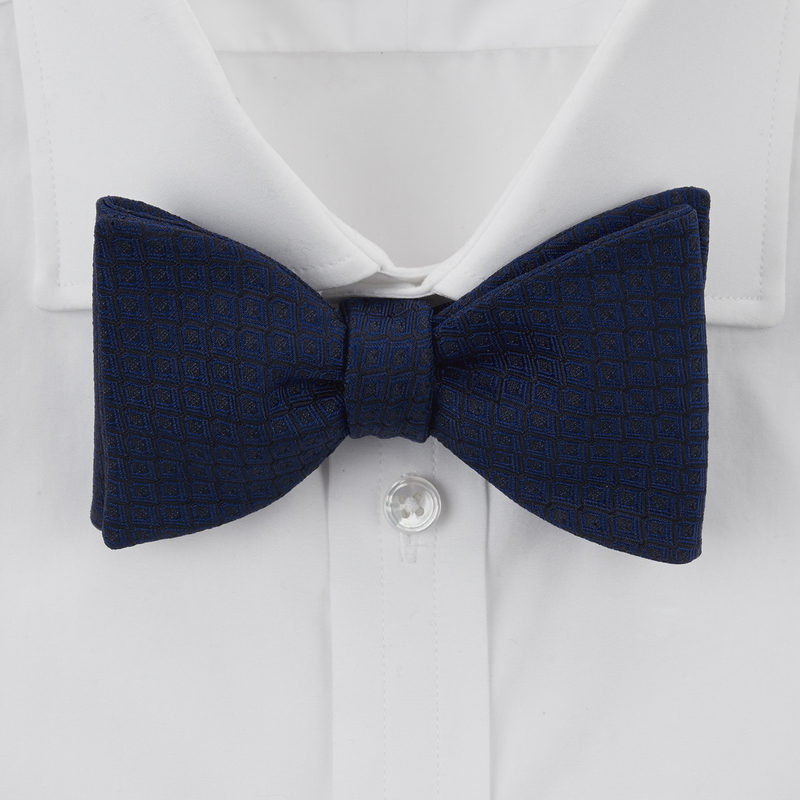 The silk used in our bow ties is woven in Suffolk using techniques going back hundreds of years. 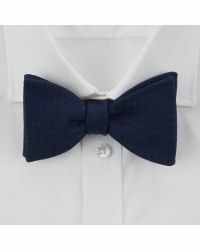 All our bow ties are self-tying. 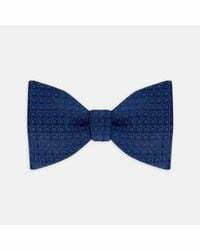 Product Code: MBOW001-Y25001. Fabric: Silk. Country Of Origin: England. Pattern: Square. 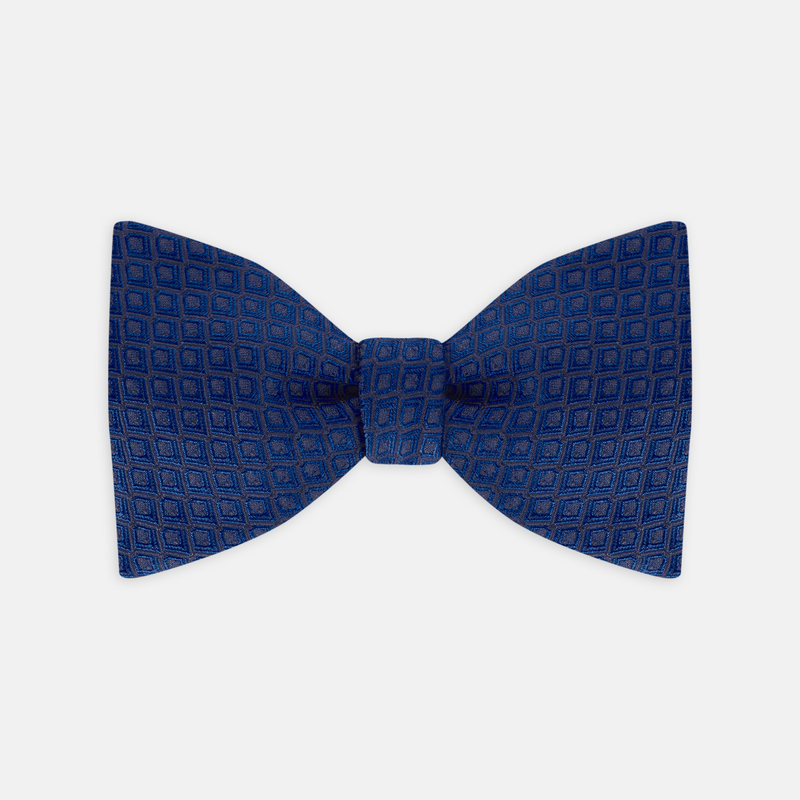 Weave: Jacquard.